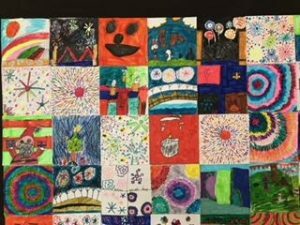 This is what’s happening in Week 11! 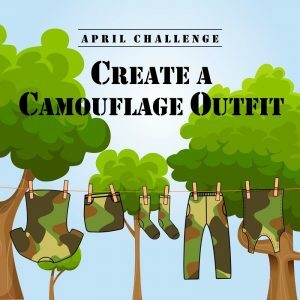 April Online Challenge – Camouflage occurs when objects are disguised so they cannot be seen easily. In their natural environment, animals have developed colours that enable them to blend into their environment, for example, a tiger’s stripes. This is mostly so they cannot be seen by other animals that might prey on and eat them. Humans also utilise camouflage to their advantage. For example, our ANZACs wear uniforms designed to help them blend in to their surroundings so that they cannot be spotted by the enemy. 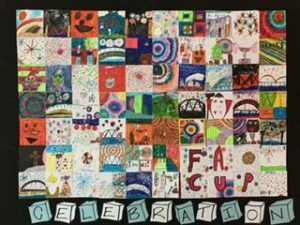 Here is the amazing collaborative artwork that 4S has been working on in Art Cave based on our History unit Celebrations and Commemorations. Such a fun day with so many amazing creations!! This is what’s happening in Week 10!